About a decade ago, I was asked to bring a birthday cake to my dear (and now sadly departed) friend Suzanne Wasserman's 50th birthday party at the Bridge Cafe. So I baked a nine-inch red velvet layer cake. 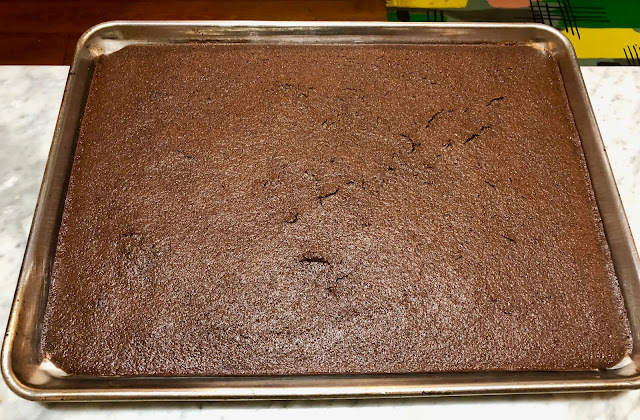 Imagine my dismay when I arrived at the party and realized that this single cake would need to feed about 40 guests. (I had another frosted cake at home -- I was selling them at the time and always made two -- but couldn't convince my teenage son to bring it to the restaurant.) Throughout the dinner I fretted about the scarcity of dessert but by some absolute miracle the staff managed to carve out enough slices of decent size. 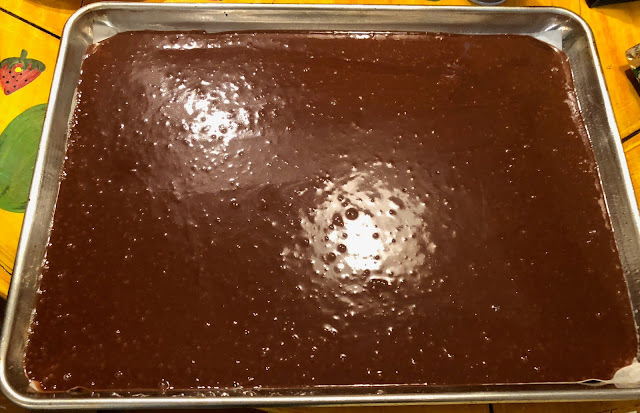 Not that I should have substituted this large flat cake (for Suzanne and her husband David loved red velvet), but I would have had a much more relaxed dinner. 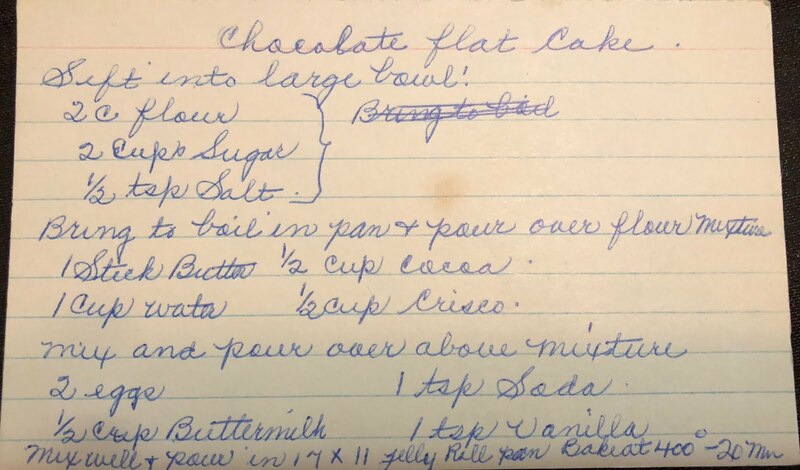 This vintage recipe is from an Amish collection I purchased years ago. It's baked in an 11 x 17 inch jelly roll pan and, when baked and frosted, it's just 1/2 inch tall, hence its name. 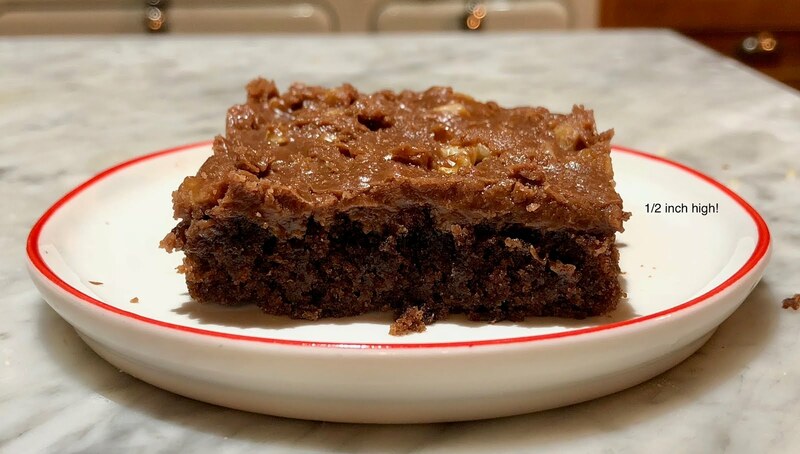 Both the cake and its frosting couldn't be easier to make and will certainly feed a large crowd. Upon hearing the name "flat cake," the DH said I should pair it with #FlatLillian, an initiative at Henry Street Settlement, to spread the word and work of it's founder Lillian Wald by photographing her against all sorts of backdrops. Suzanne, a filmmaker and historian, studied the Lower East Side and was one of Lillian's biggest fans. 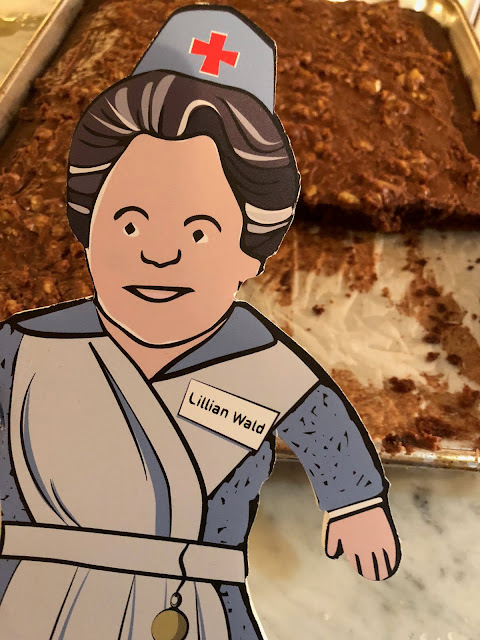 #Flat Lillian with the frosted chocolate flat cake. This is a very, very simple cake to make done on the stovetop and in a bowl. No heavy machinery needed. Melt the butter, water, and cocoa in a saucepan. 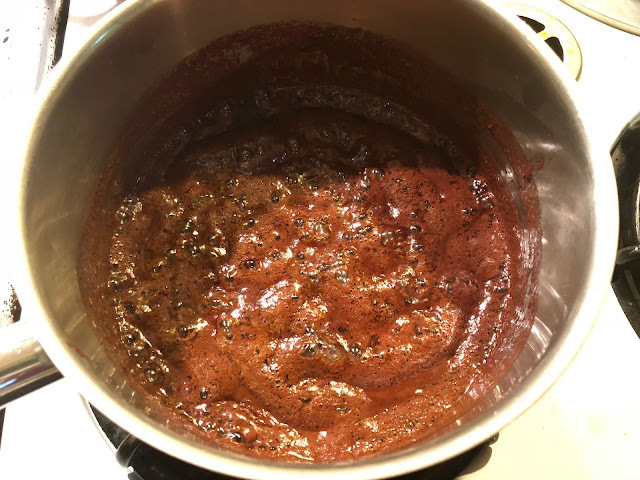 Pour the mixture into a bowl and add in the dry ingredients. Stir or whisk to combine. 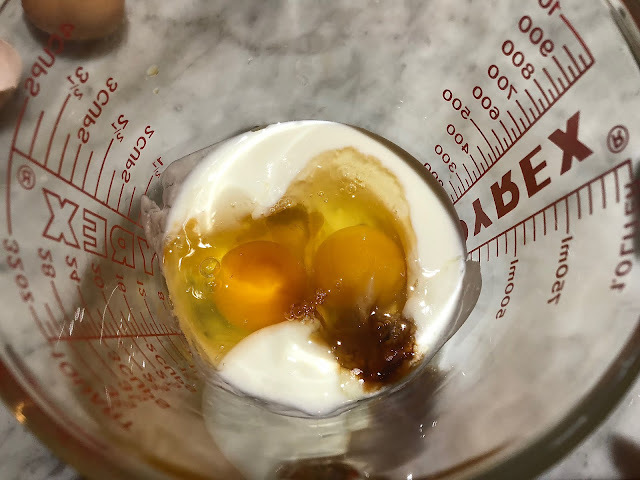 Add in the eggs, buttermilk, vanilla and baking soda, whisking them together them first. Pour the cake into a greased jelly roll pan. I sprayed the pan with Pam, then laid a sheet of parchment over to ensure an easy release. 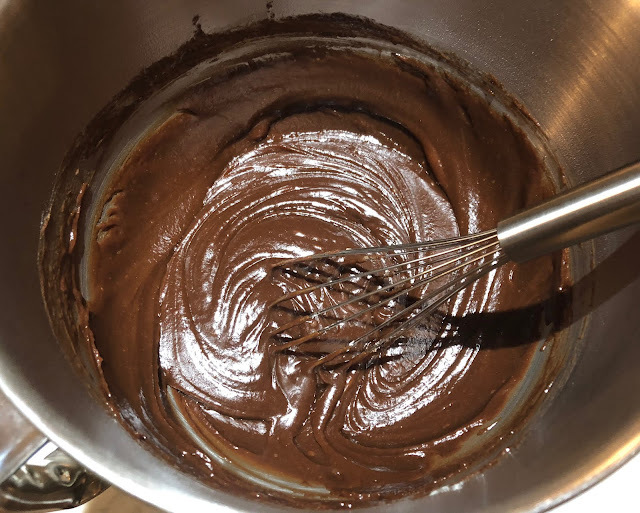 While the cake is in the oven, begin the frosting. 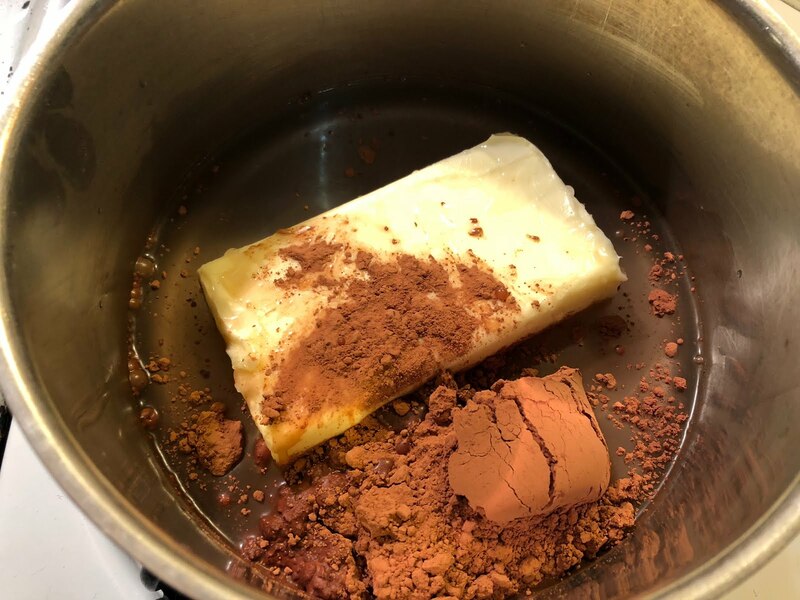 Boil butter, cocoa and buttermilk, then add in confectioner's sugar, nuts, vanilla and salt. Frost the cake while it's still warm. You'll need an offset spatula or butter knife to spread the frosting over the cake. 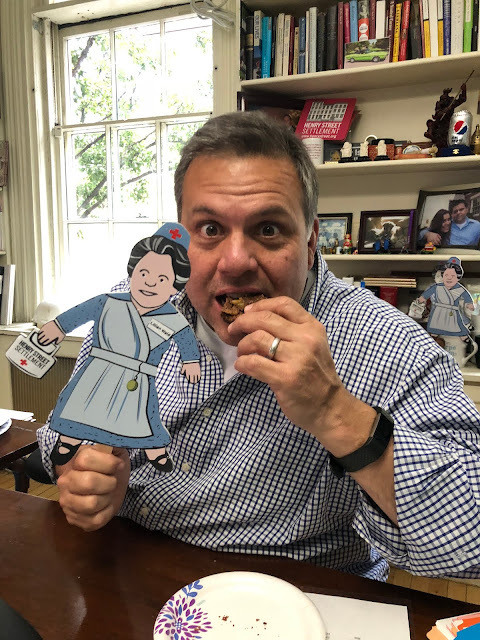 Henry Street's Executive Director David Garza, a real #FlatLillian champion, eating the cake (even though he's not supposed to, so don't tell anyone). 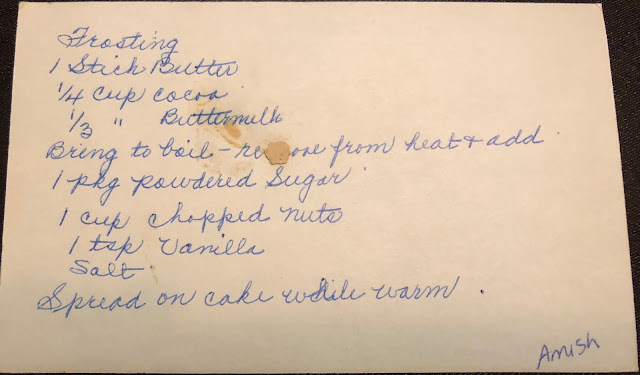 Production notes: I followed the recipe exactly, except I substituted butter for the Crisco. The Amish, rather thrifty folk, probably wanted to save some money. I wasn't sure if the cake should be warm, or just the frosting, so I made sure both were warm when I frosted it. You'd be fine with a cool cake and warm frosting. If you don't have buttermilk, you can make your own by mixing some white vinegar in regular milk and having it stand for a few minutes. 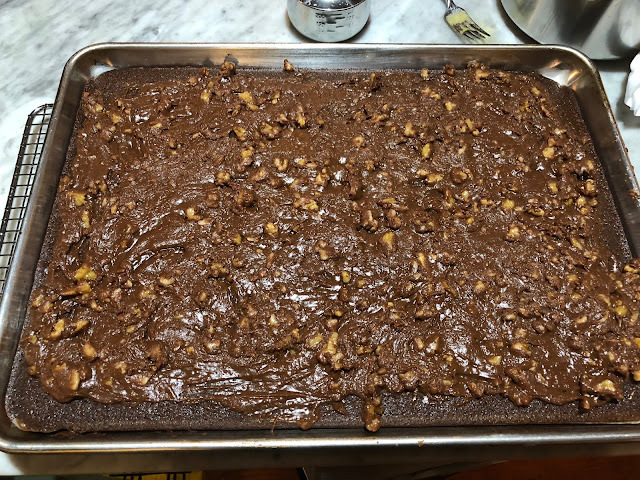 The amount of salt in the frosting should be a pinch -- it won't taste salty, but will add a depth of flavor. Chop the nuts on the finer side.